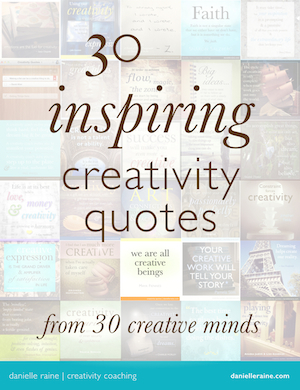 It’s time for another pearl of inspired wisdom from my Creativity Quotes blog series. Have you ever been jolted awake by a line in a book, hit by a deep recognition that you feel the same way? 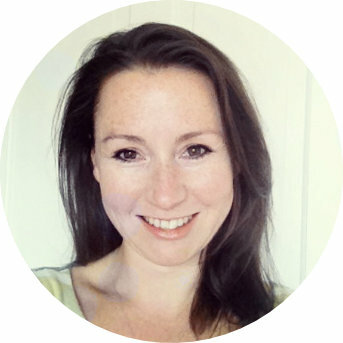 Can you imagine that – marketing you can feel good about?! If you’re like many (most/all) artists or creatives, the prospect of marketing induces a slew of uncomfortable feelings, ranging from lethargy, repulsion, fear and dread, to an overwhelming desire to hide under the duvet. The issue of marketing, income and commercial pressure in creative work is an age-old dilemma. Do we compromise our artistic integrity by pandering to market forces? Or commit to heart and soul driven creativity, even if it means a life of poverty? With the recent rise of Creative Entrepreneurs, this debate is as alive and relevant as ever. What if there was a third alternative, a happy middle ground? Thankfully, this is the essence of Marc’s book. It explores the roles that selling and marketing play in successfully earning a living from your craft, and how to embrace them with your soul intact. It also makes a compelling argument as to why you should still aim to reach your right audience, irrespective of those pesky financial pressures. Marc argues that there’s an aspect of creativity that involves getting the work out there, to be seen and enjoyed by other people – and that this appreciation is an essential ingredient of the work’s place in the world. 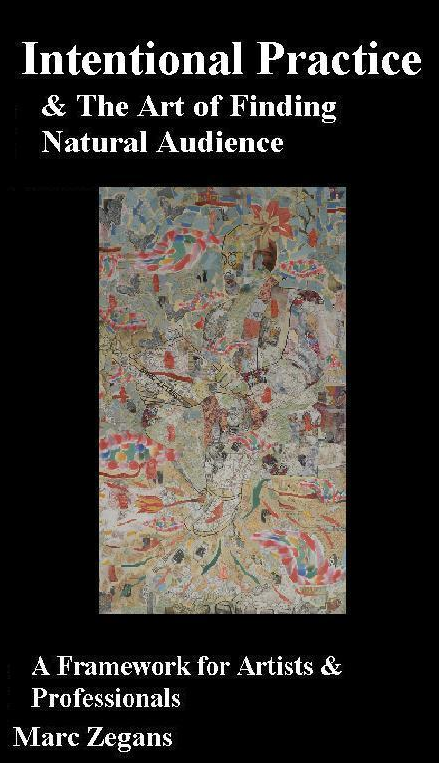 Whether people pay for it or enjoy it another way, the ‘being seen’ aspect plays a crucial role in the life of the work and the creator. Of course it can be possible and enjoyable to create purely for the thrill of self-expression, and I’m all for that. But in showing our work, in sharing it with the world, we elevate the whole experience and enrich it with aspects of meaning and purpose and the unique impact that we can make with our talents and time on this planet. It’s an inspiring approach to marketing; that connecting with your right audience is a vital part of creating impactful, meaningful work – not an act of selling out. And if reaching the people who will love our work is part of the game – why not embrace it as just another stage of the work? A stage that, done well, can support future work and the creative lifestyle we love. If we can embrace this idea – that part of our creative brief is to find our audience – it makes marketing (or Reach, as I prefer to call it) so much more palatable for us artistic types. We don’t need to feel we’re selling our soul by bowing to commercial pressure, we’re simply completing the cycle of the work, helping it find its home in the world. So if you’ve ever felt torn as to whether to create from the heart or compromise to meet market forces, I hope Marc’s idea will ease the agonies of that particular dilemma. Even if you create from the heart, you still need to seek an audience for your work if you want to reach the ultimate level of fulfilment. So we can wave goodbye to the old either/or dilemma. 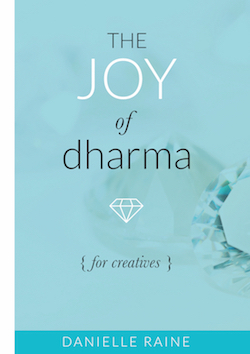 A thriving creative life needn’t be a case of: Joyful Expression vs What People Want. Joyful Expression AND Attention to finding the people who want that. Joyful Expression AND Consideration of what you know is well received. Personally, being one for unrestricted creative expression, I’ve ‘had issues’ with many of the conventional marketing theories. However, the more I embrace this final step of my creative work – this completion of the creative cycle – the more satisfying the work becomes. This connection stage can actually make the work more enjoyable! Not only that, the prospect of considering others’ opinions can help to shape the work in a positive way. For example, if I get stuck in a creative dilemma, considering potential customers (aka Raving Fans) helps me to make decisions that I feel good about AND allow my work to be more valuable in the market place. It’s a happy, creative and lucrative win-win. Of course, there will always be tension between opposing forces of freedom and limitation – but isn’t that what creativity is all about? Finding new solutions to the ways things are. And it may well be that no limits, no expectations and no intended audience can actually be paralysing – too much possibility, making it hard to know where to start and in which direction to go. As ever, it appears that balance is the most productive route. Happily this balance can also lead us to making a viable living from our art. So a huge, HUGE thank you to Marc for his inspiring words, not only showing us exactly how we can find our right audience – but also why we ought to embrace that idea; for reasons of our own stability, satisfaction and fulfilment. This feels like the final piece of the Marketing For Soulful Creatives puzzle that I’ve wrestled with for some time. 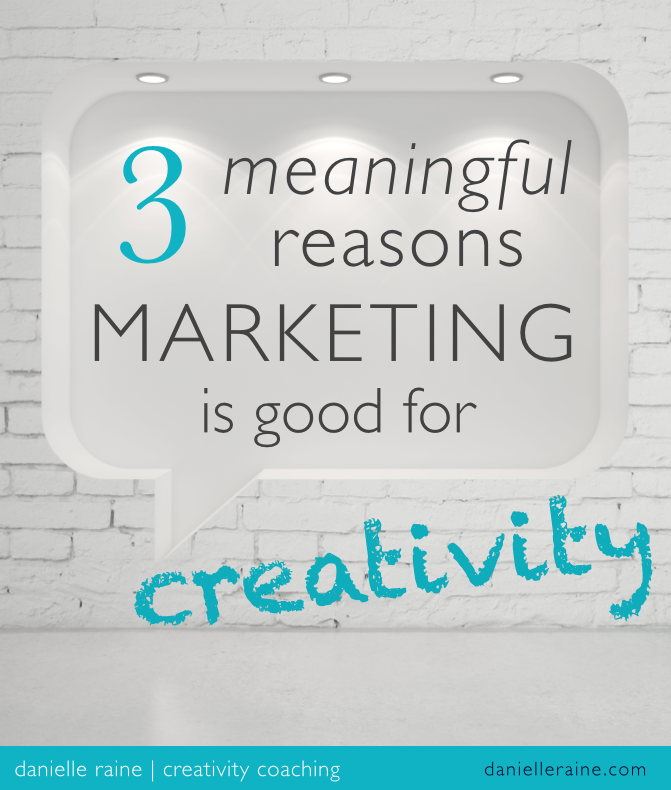 why marketing is good for creativity. Our creations can’t influence or help or entertain anyone that doesn’t discover them. So it’s part of our role as creatives to help the right people to find us, to reach the ones who can enjoy and benefit from our work. And when we do this, we find that all-important meaning that makes life worthwhile. We’re living our unique purpose, making the difference we’re here to make. This is living in ‘flow’, and it’s a powerful way to connect to the source of all creativity and inspiration. When we become aligned with purpose and meaning, our creativity flows more easily, spontaneously and joyfully. that make us want to run screaming from self-promotion. One of the best ways to continue to do the creative work we love, is to find a way to get paid to do it. If we can find the sweet spot – where our unique expression finds our right audience – we can find success in the marketplace. Marketing, or Reach, is the key to this happy mix of integrity and commerce. When unique needs are matched with the creative expression of your unique talent, that is the spark that creates affluence. And even if money is not your driving force, earning a living from your work just makes it possible or easier to spend more time doing it. 1. To do justice to your work, get it out there. 2. To live aligned with your purpose, find your right audience. 3. To fund a life of joyful creative expression, master the skill of reaching the people who will value your work. 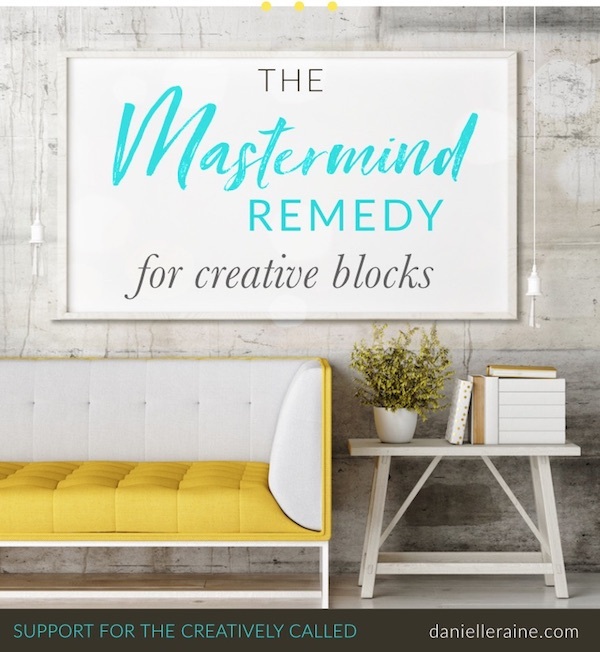 I find these ideas help to soothe the marketing demons in my creative soul, and I hope they will do the same for you – so you can make peace with the commercial aspect of the creative process, and devote more of your life to the bliss of joyful expression. And if you ever feel torn between your creative calling and your need to pay the bills, I highly recommend Marc’s wonderful book. And of course, I’d love to hear your thoughts on the marketplace vs freedom issue. 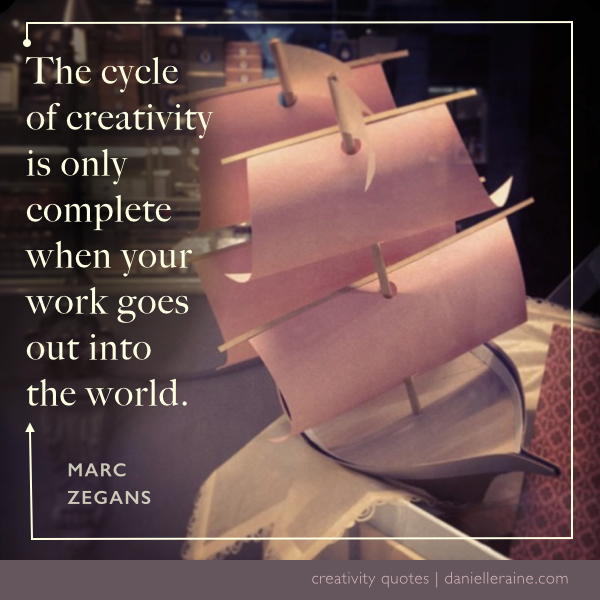 Do you long to create purely as inspired? Or do you find the commercial aspect actually adds to the process? If you’ve found a compromise or solution that works for you – we’d love to hear it! 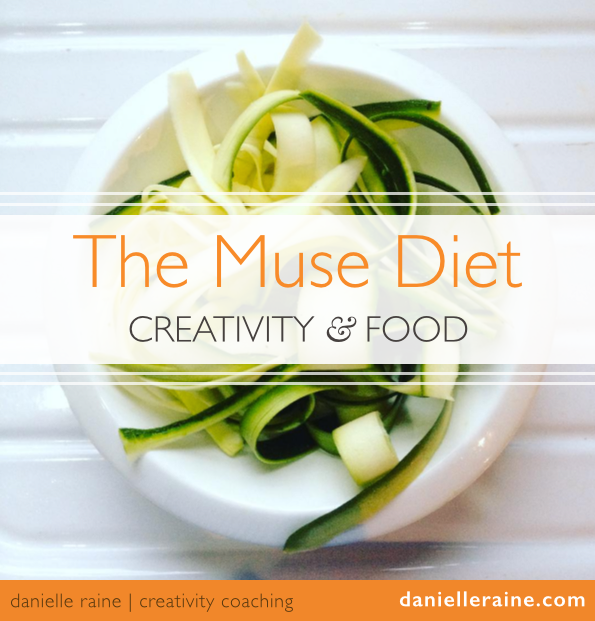 PS If you’d like more musings on the creative process – inspired by 30 creative minds – you can get the full blog series delivered weekly to your inbox. What a great article. I speak to you as another person who was hit full force by the content of Marc’s book. I was delighted to find that Marc had given coherent voice to many of the principles I had been intuitively practicing with my own clients. I was also excited to see that there is an underlying logic to this kind of approach. Now I learn that there is a huge community of artists and other creative souls who can benefit from helping one another to achieve our common and respective goals. It’s great to know we are not toiling away in isolation! Thanks Deborah – I’m happy you enjoyed it. And as much as I love my creative cave, it’s always good to connect with kindred spirits. 🙂 Best of luck with your work – the world needs more happy creatives!